Please sign up to our website below, or call us at 919-847-5854! Six Forks Animal Hospital is your Choice of Excellence for providing full service veterinary care, boarding, and grooming for your pet. Since September of 1967, we have been conveniently located in North Raleigh on Six Forks road near the intersection of Newton road. Our friendly staff and experienced veterinarians are dedicated to providing the highest quality care available to your pet.We understand the importance of each patient's needs, and treat each one as we would our own. Your pet is part of your family, and when it comes to caring for your family, you need people you can trust. Six Forks Pet Resort pet boarding facility is designed to give each animal the attention, fun and care they deserve. Our gentle and lovable groomer caters to clients who prefer professional grooming, seasonal cuts, or simply the occasional bath. 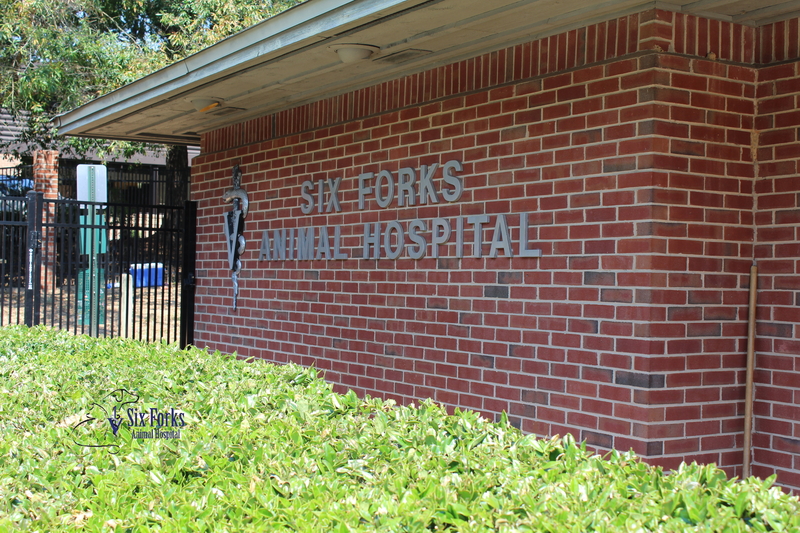 For Six Forks Animal Hospital's patients comfort, we offer separate entrances and waiting areas for cats and dogs. Our waiting areas are relaxing and less stressful, providing complimentary beverages and snacks to our clients. We hope you will refer your family and friends to our practice. At Six Forks Animal Hospital, we treat your pets like the valued family members they are. "I love Six Forks Animal Hospital! Dr Price and her entire team are so loving and caring. My fur babies love coming here. I've used SFAH for 4 years for all my veterinary, grooming and boarding needs. They are the BEST!"